I realize that it's been too long since the last blog post. So instead of working on next week's comics (sadly that buffer ain't what it used to be), i'll ramble here for a bit. Last time, i mentioned the existance of Luminiferous Aether. WTF, you might wonder. You see - the current understanding of light is that it acts as both a particle and a wave, depending upon circumstance. Back at the turn of the last century, it was noted that light acts as a wave. Now, while particles can travel through a vacuum, a wave needs a medium to carry it. So if light is a wave, there must, perforce, be a medium to carry that wave. Hence, the Luminiferous (or 'light bearing') Aether. The existance of said medium in the world of Dr. Nick has significant ramifications in physics, but not much that the reader will consider to be of note. The one thing that will be significant at some point is that the Luminiferous Aether is a medium that can be traversed - sailed like an ocean of water. As noted earlier, it also contains the world's oldest Museum Of Alchemy. There's a marvelous Plague Spire. Not to mentioned the previously mentioned Ossuary. (AKA 50,000 Dead People In A Church). And while the history and cultural focus of the city made it a perfect choice, what really decided it for me was that it's a beautiful city to draw. Take a look at tomorrow's strip (MAD SCIENCE! 020) and get a glimpse of the statuary lining a simple avenue behind the monastery. Not to mention the amazing archetecture of the cathedral at the end of the lane. 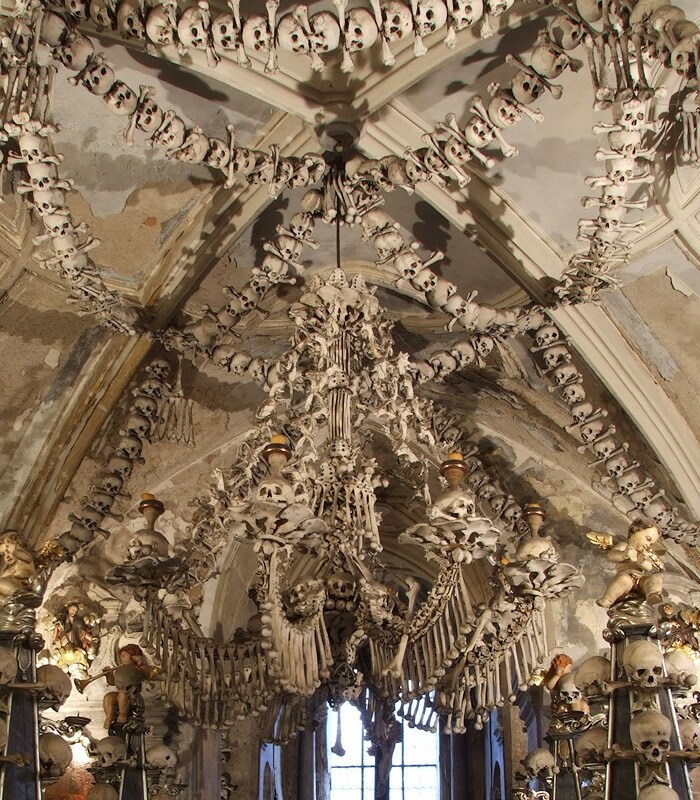 If i ever go world travelling again, Kutna Hora is at the top of my list. Technology in Dr. Nick's world. So, while in our history Westinghouse may have decided is was impractical to meter & bill for broadcast power, the money was easily found to develop it. At least in Europe, and the Persian Empire is considering the advantages of developing such a system. Did you know that a method for generating electricity from cosmic rays (yep - the same stuff that gave us the Fantastic Four) was patented way back in the 1800s? Think of what might be accomplished by another few decades of development by the time of our current tale. Dr. Nick is perhaps the world's greatest authority on energy & electrical power. The heavy belt he wears is actually a portable cosmic ray energy generation system, coupled with a broadcast power emitter. Thus, any device enable to receive broadcast power is automatically powered whenever Nick is nearby. And, of course, all of Nick's own gear is built with such a design. That includes vehicles. Fuel is never an issue, though much tech still uses steam, and so requires water. No messy coal, though - heating elements are electrically powered. Technology at this time is in a state of constant advance and exploration, with very little standardization as yet. And different countries/kingdoms can have vastly different tech levels in general. But one never knows what technology individuals or small groups are developing here and there. This leads to such contrasts as zeppelins with electrical beam weapons. And then there's the luminiferous aether. Here, it exists. This leads to many small changes in the understanding/laws of physics - none of which might show up in this story, so we'll move right along. Does Orgone energy exist? Has anyone besides the Traveller (of H.G. Welles fame) cracked the time barrier? And how prevalent is Magick in this world of Science? So much waiting to be explored!